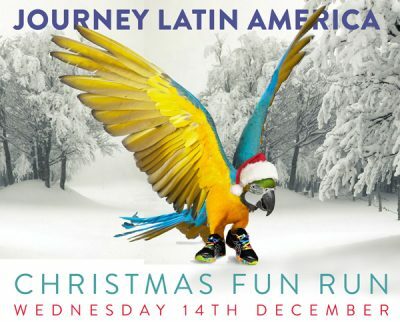 The Enthusiastic fundraising heros over at Journey Latin America are at it again – this time they will be running just under 5 miles along the Thames river through London’s boroughs of Hammersmith and Barnes, all the while adorned in festive attire and lights! The run will be taking place at 6pm on Wednesday 14th December from St. Peter’s Square. If you wish to join in, entry is £7.50 (all of which will go straight to the LATA Foundation). Please do contact us to register. Alternatively, if you’d rather cheer them on from the warmth of your sofa – you can support them by donating! All funds raised will go to the Konojel Community Project on Lake Atitlan in Guatemala. ← Our Autumn Newsletter is now out!